HP Envy x2 detachable touchscreen laptop lets you comfortably deal with your documents, mails or delivers multimedia content wherever you’re. Like the idea? Let’s have a look. 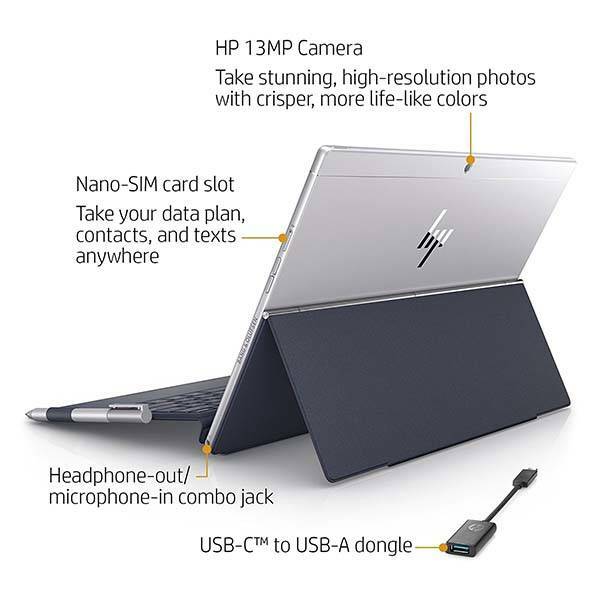 HP Envy x2 is a 12-inch touchscreen laptop that measures 8.28 x 11.53 x 0.27 inches and weighs 1 pound. As we can see from the images, the laptop sports a sleek, ultra-thin appearance design, and the metallic finish delivers beautiful modern aesthetics. Meanwhile, the lightweight and compact form factor allows you to effortlessly take it with you anywhere. 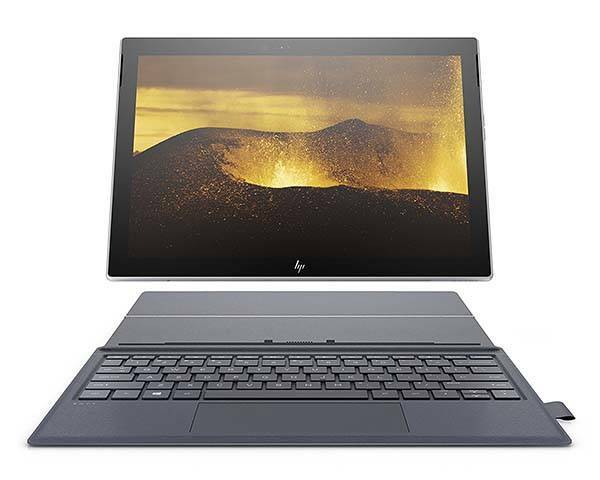 HP Envy x2 is powered by Qualcomm Snapdragon 835 octa-core processor and comes equipped with 4GB RAM and 128GB flash storage, so it’s capable of handling various apps, mobile games from Microsoft Store and multimedia playback. Furthermore, it has a 12.3″ touchscreen IPS WLED-backlit display with 1920 x 1280 pixels resolution and Corning Gorilla Glass for comfortable mobile viewing and flexible control experience. Moreover, it comes with a pressure sensitive digital pen that delivers a pen-to-paper feel, and a soft keyboard is detachable so that you can enjoy your Envy x2 in laptop or tablet mode. In addition, other features also include 5MP IR front-facing camera, 13MP rear camera, optional nano SIM card slot supporting 4G LTE, and up to 22-hour battery life. 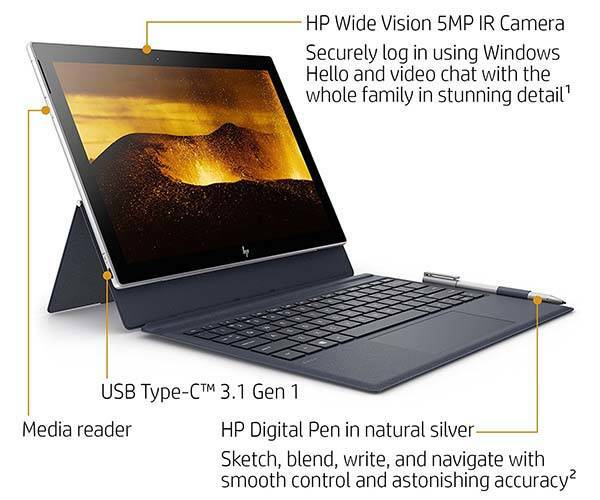 HP Envy x2 detachable touchscreen laptop with stylus pen is priced at $902.28 USD. If you’re interested, jump to the product page for its more details.